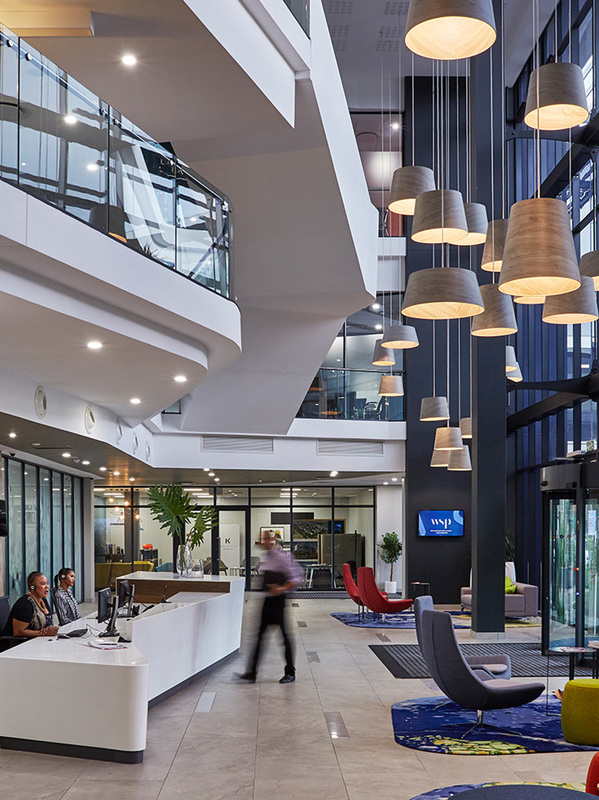 Following years of growth and expansion, WSP, one of the world’s largest engineering professional services firm, relocated from two separate locations split over three buildings to new headquarters in Bryanston’s upmarket Knightsbridge office park. 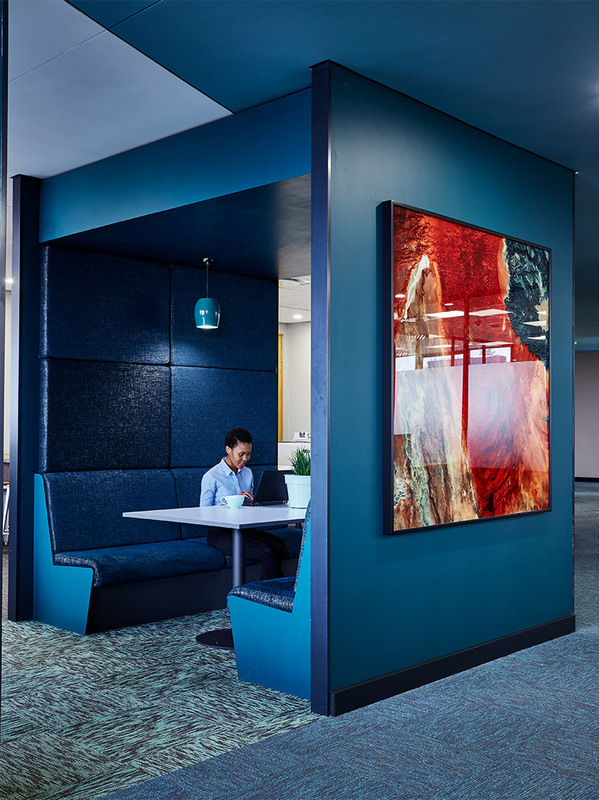 Committed to creating an innovative, interactive space that stimulated collaboration and catered to the wellbeing of employees, consultation across the company ensured buy into the design style and ownership of the colours, materials, finishes and furniture. 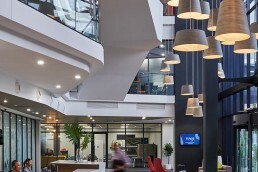 The design of the open plan offices is based on the principle of seeking out connections with nature and each other. 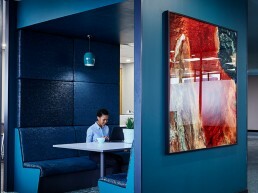 Large-scale glossy aerial photographs, selected from each of the departments created the colour palette, which was carried through to various function and meeting rooms as well as storage boxes on the desks. 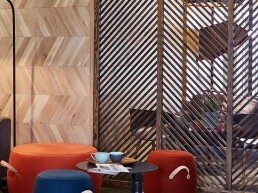 In addition, the shapes and forms from the aerial prints were incorporated into the interior design. 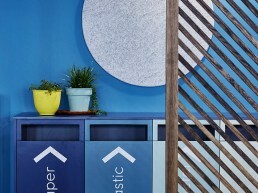 From the reception and signage to fixed timber and textile screens, the slatted herringbone design echoed the connection to nature, embodying a unified look. 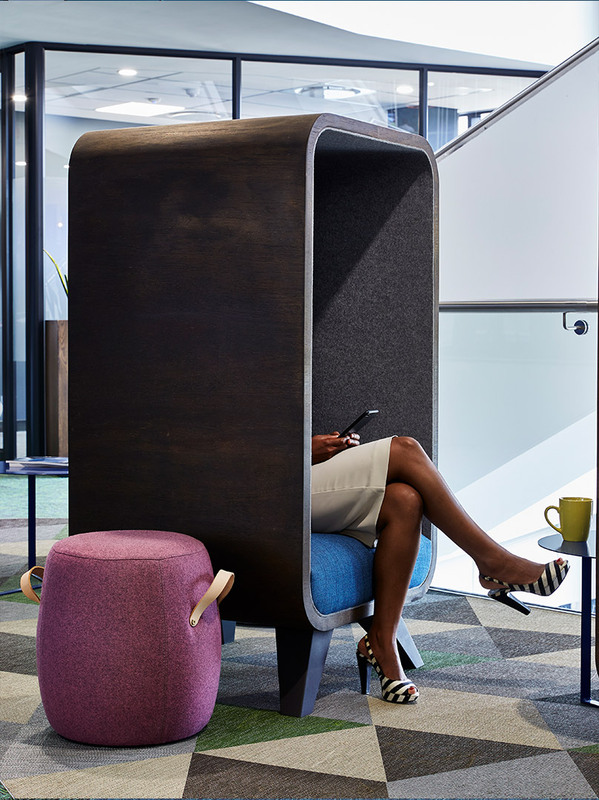 A central circulation spine connecting to an ecosystem of alternative workspaces promoted movement, socialising, engagement and co-creation. 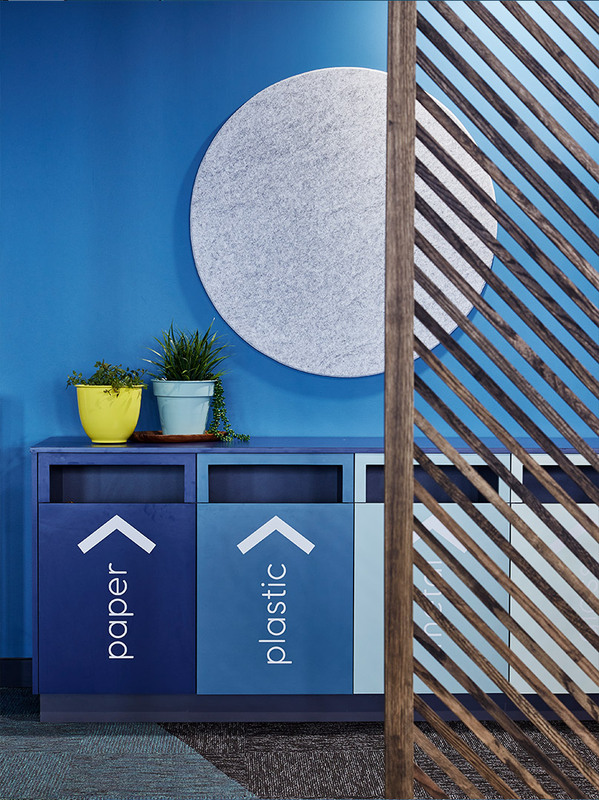 This allowed employees to choose the environment that would be most conducive to their productivity and task at hand, ultimately leading to an agile, adaptive and cohesive company culture. 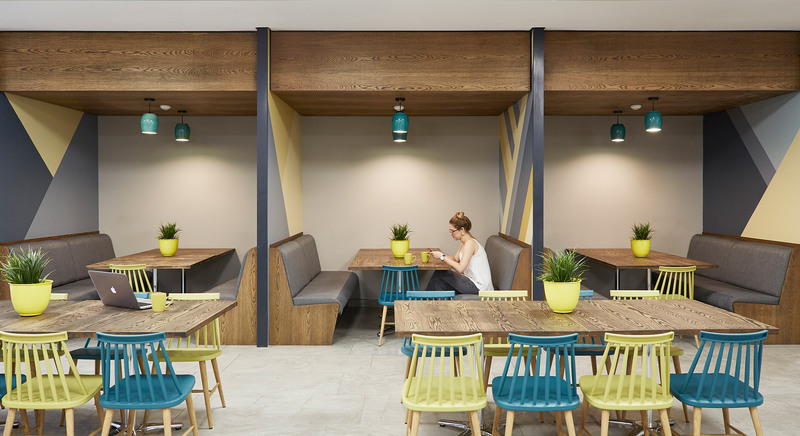 Visually, the circulation spine is accentuated by coloured ceilings and matching carpets in natural green and turquoise tones. 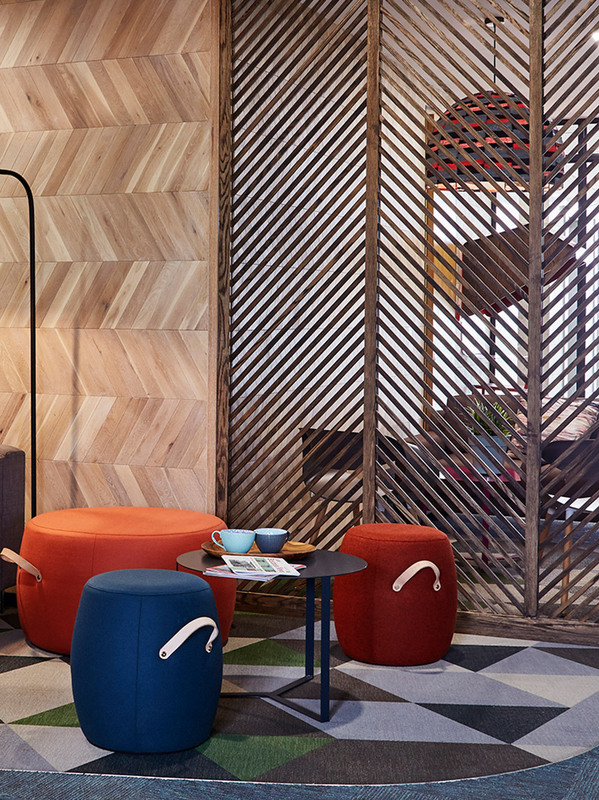 From the spacious lobby with its organically shaped ceiling lines, balustrades and reception desk, and throughout the building, the design echo's natural forms, patterns and textures.